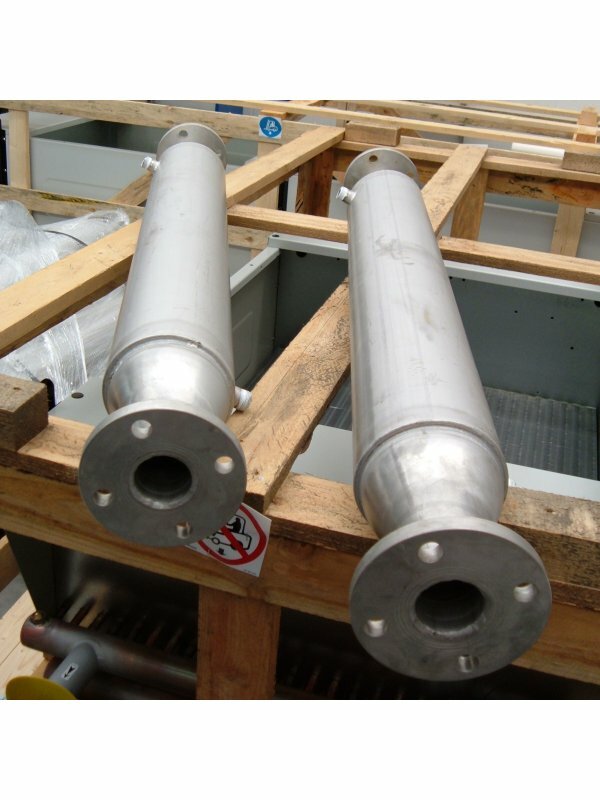 The calculation of a heat exchanger, is all in all a fairly simple exercise. It involves applying a mathematical formula using a set of pre-established data and coefficients. Obviously this is assuming we limit ourselves to the calculation of the exchange surface which is required for a certain type of thermal work. These factors determine the actual size of the exchanger and as a result they become the essence of the project. It is not my intention here to dwell upon complex issues but I do wish to summarize some fundamental concepts regarding heat and its transmission to the basic dimensions of a heat exchanger. The following are some excerpts from the document that can be easily downloaded. • irradiation: all surfaces that are at a given temperature emit energy in the form of electromagnetic waves. Therefore, in the absence of a medium located between them, the heat between the two surfaces at different temperatures is transferred only via irradiation. These forms of transmission almost always coexist. In order to design a heat exchanger we must correlate the amount of heat transmitted per unit of time Q with the input and output temperatures of the two fluids of area A of the total surface required for the given heat exchange. Using the energy balance equation of hot fluid open systems (subscript c) and cold fluid open systems (subscript f), characterized by the mass flow rate mc and mf, you obtain the following two expressions. c pf being the thermal capacity mass of the cold fluid. c pc being the thermal capacity mass of the hot fluid. fluids with area A and the average difference in temperature ΔTm of the two fluids. The link between the thermal flow Q and the product of area A for the average difference in temperature is expressed by the overall coefficient of exchange U, which is determined empirically.